Get Involved in Houston with Monica Jones' "7 Ways to Give Back to the 713"
With every New Year, it seems like we always start out with goals and resolutions that we have every intention of honoring. You’re going to lose weight. You’re going to get that summer body right. You’re going to finally invest in stocks or property. You’re going to wear less and go out more… or go out less to save more money. 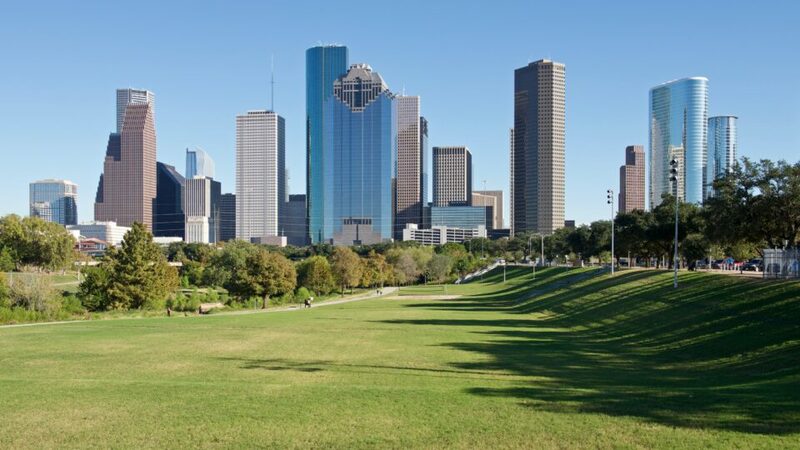 In 2018, the best resolution you can make as a native Houstonian is to give back just a little bit of your time every month to the place we call home. There are so many opportunities throughout Houston where people can volunteer with local non-profits who could use an extra helping hand. Or, if you’re ’bout that life, you can start up your OWN initiative to directly impact your community. I promise, giving back is the easy part – it’s finding somewhere to START, that’s poses a challenge. But you’re in luck. This year, I’ll be starting a new monthly series for Day & A Dream, entitled “7 Ways to Give Back to the 713.” I’ll track down 7 things you can do each month to engage the community. So go ahead – pick a social cause; gather up a few of your friends; and make it your mission to be a blessing to someone else! 1. February is National American Heart Month. If you’re a registered nurse or a doctor, consider donating some of your time and/or skills to educate your friends and community on the ways they can help combat heart disease. 2. Let’s be honest: we all treated January like a trial run, and our new year REALLY started this month. It’s a New Year and you deserve a fresh start, so it’s time to toss out the old and bring in the new. Clean out your closets and consider donating any of your gently used professional items to local organizations geared towards the less fortunate. Dress for Success and Suits For Sons, for example, are both Houston-based groups who rely on donations to provide professional wardrobe options for less fortunate individuals who are preparing to enter (or re-enter) the workforce. 3. Oh, you “Got Gains” now? I know you’re proud of your Instagram likes! Now, take an opportunity to help others get their weight up, too. Host a complimentary “Boot Camp” amongst your friends for those of you who made a New Year’s Resolution to get rid of that pesky holiday weight. 4. It may be 2018 for us all, but many throughout the city are still reeling from the effects and rebuilding after the devastation of Hurricane Harvey. Consider rallying up some of your buddies to help out and participate with the Houston area Habitat for Humanity’s upcoming building projects. 5. Harvey wasn’t the only natural disaster that did damage in 2017. In fact, places throughout the world – like Puerto Rico – were also hit by natural disasters and are still trying to recover, with desperate need for medical care and supplies. Project C.U.R.E. in Houston is one organization that sends donated medical supplies and equipment to developing countries in need. You might consider stopping by Project C.U.R.E. to offer your time in assisting them with sorting out their inventory; or you can visit Houston-area hospitals and see if they would be willing to donate supplies that could then be given to Project C.U.R.E. 7. Homelessness is still one the most pressing issues in our hometown. The City of Houston is continually looking into new ways to address the more 3,500 individuals who live on Houston’s streets at night. Donate some of your free time to a Houston-area shelter and assist them with managing the influx of individuals coming in off the streets due to this cold and rainy February weather. Photo credit: Matt Nielsen of Photography Life.